Tiny little Mohammed was having an echo today at the hospital, and praise God that it is good news. His heart appears to be doing well after the TGA surgery. He has an NG tube in to support his feeding. It seems like this little one’s surgery and recovery is rushing past us in such a blur! 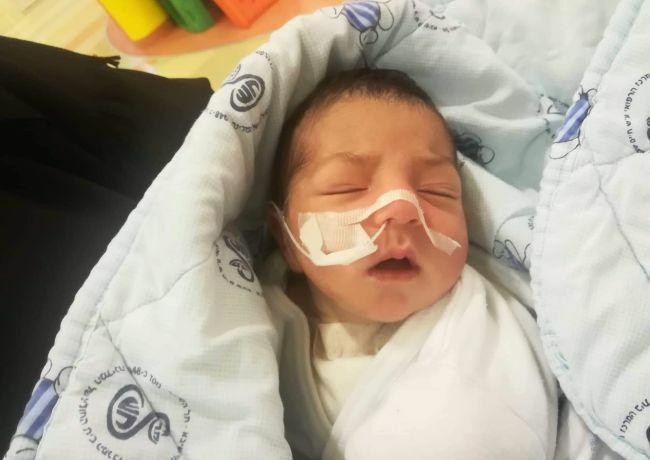 Thank God that he is making such good progress and hopefully can be heading back home to be with his family in Gaza in the not too distant future. Thank you for keeping Mohammed in your prayers.